« When you can’t go to the Iowa Wool and Sheep Festival, you go to….. These are some of the quilt’s on the wall at Sarah’s in Lawrence. I love going through the tall doors to see what they have. Right across the street are two other places on Massachusetts Street I like to go. In the back of this store, they also have quilt fabric. They have needlwork supplies in the middle of the store. In the front of the store they have Christmas collectibles like Christopher Radko ornaments, Snow Babies and villages. They also have quilted tote bags and wonderful seasonal items. 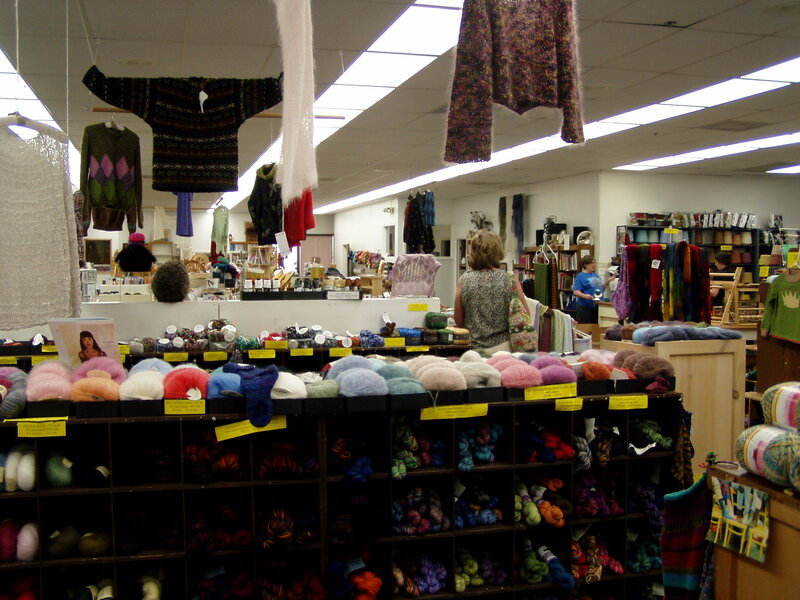 I then went to the Yarn Barn to get some carpet warp and to check out the latest knitting projects. Then I was back to Topeka for a trip to the library and Saturday night church. 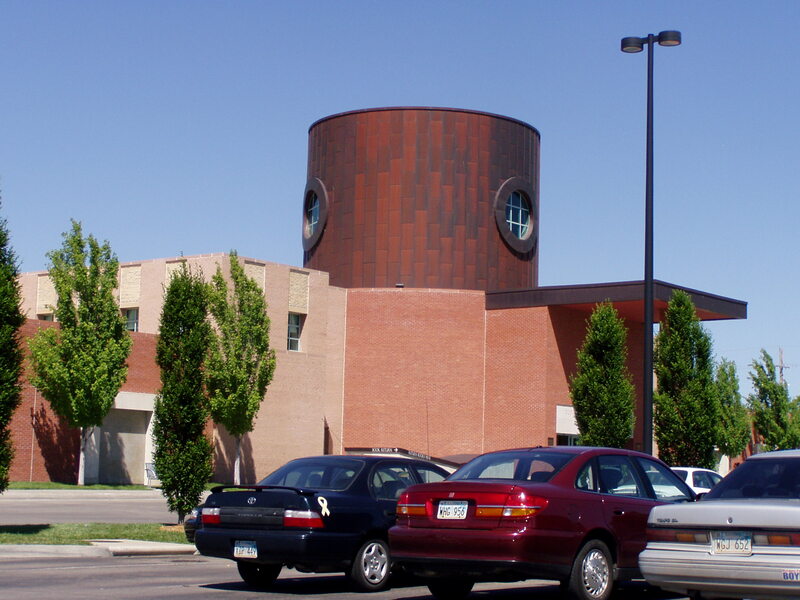 This library is one of the best assets in Topeka. I came home with 10 books. 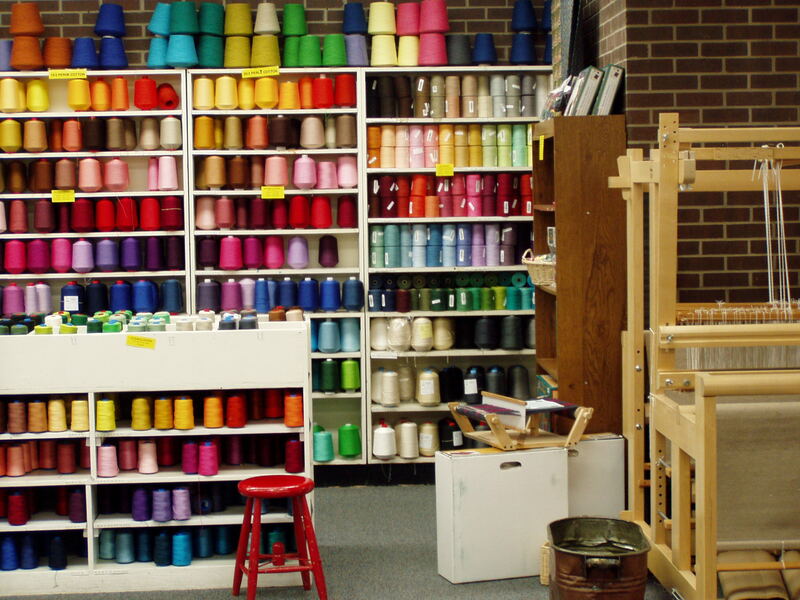 This entry was posted on June 15, 2008 at 5:28 pm and is filed under quilt shop, quilting, Spinning and dyeing, weaving. You can follow any responses to this entry through the RSS 2.0 feed. You can leave a response, or trackback from your own site. Sherrie, the quilt photos, their vibrant colors, are wonderful. 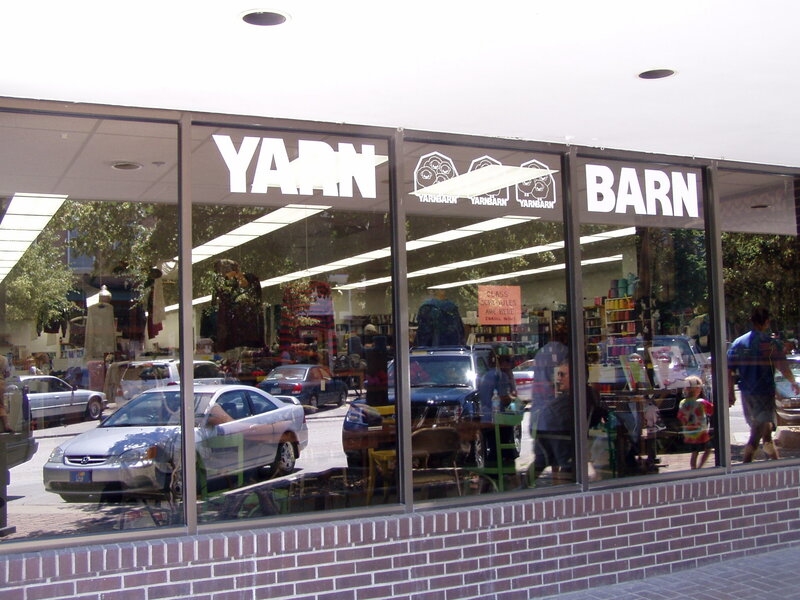 I always wondered what the Yarn Barn looked like! Sorry to hear about the loss of your friend….